Understanding the Elf on The Shelf phenomenon. Is it really for you? If you haven’t already heard of the Elf on The Shelf, chances are you soon will. The sweet Christmas phenomenon has begun spreading across Australia, with select retailers becoming official adoption centres this year. The idea, created by a mother-daughter team in the US, involves families taking in one of Santa’s scout elves in the lead-up to Christmas. The elf is charged with reporting back to Santa each night as he finalises his naughty and nice lists. My family welcomed our elf, Giddy, two years ago when my son was just a couple of months off his second birthday. The fun part for for him was getting to name the elf and then waking each day to find where the elf had moved to in the house. My son’s vocabulary was still fairly limited when our elf first arrived but his fascination with a toy hobby horse at the time meant that many things were referred to as Giddy, including our newest little visitor. Now, be warned: Introducing this tradition can create more work … or fun … for parents, depending how you look at it. Each night through December, so the story goes, after children are put to bed, the elf flies back to the North Pole to report on their behaviour that day, before flying back again and hiding somewhere in the house. And so each morning, children have the fun of finding that hiding elf once again. I don’t think I have to spell out where the work is for the parents! But despite the burden of my nightly elf responsibility, I have found it is a lovely way to help my son countdown to Christmas. It also provides a visual incentive to be well-behaved and, I won’t lie, it comes in handy. Beautiful tradition or just another Christmas chore? Like anything to do with Christmas, adopting an elf is what you make of it. If you’re crazy for Christmas like me, you’ll begin plotting all the elaborate poses and mischief your elf will be found doing well before December 1, when the elf is due to appear. I’ve done everything from sitting Giddy amongst a pile of opened lolly wrappers, because one needs energy for repeat trips to the North Pole, to gliding him along a string zipline from one end of a room to another, because the sun came up before he could find a more discreet perch. I love starting the day with a bit of silly fun, seeing my son’s eyes light up and hearing that infectious giggle – you know the kind you just want to bottle and keep forever?! But, just like when the Tooth Fairy gets so busy and forgets to visit, a parent’s creativity can be tested when it seems your elf hasn’t budged overnight. Trying to outdo yourself day-to-day is not the way to tackle it if the motivation just isn’t there, but remember magic is magic and often simple works best. 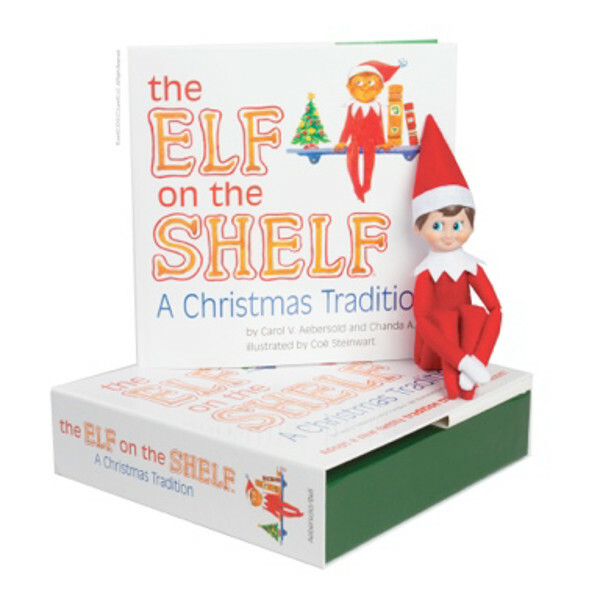 The Elf on the Shelf story was written by mother-daughter duo Carol Aebersold and Chanda Bell, and was inspired by their own family’s Christmas tradition. After receiving countless rejections from publishing houses across the US, Carol, Chanda and her twin sister Christa Pitts self-published the book, The Elf on The Shelf: A Christmas Tradition by creating their own company, Creatively Classic Activities and Books in 2005. Since then, more than 10 million copies have been sold worldwide and the book continues to rank highly on bestseller lists. Where do I go to adopt? The box sets including a scout elf and book and these can be found at Myer department stores, Dymocks booksellers and select specialty retailers. When you adopt a scout elf and give it a name, the scout elf receives its Christmas magic and can fly to the North Pole each night to tell Santa Claus about all of the day’s adventures. Each morning, the scout elf returns home to you and perches in a different place to watch the fun. A scout elf can’t be touched because Christmas magic is very fragile and the elf may lose that magic and be unable to fly back to the North Pole. 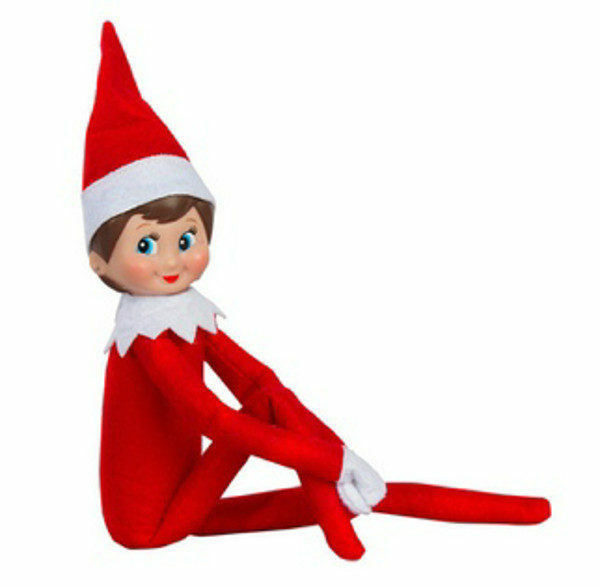 A scout elf can’t speak or move while anyone in the house is awake because it’s his job is to watch and listen. Elves typically appear in their families’ homes at the beginning of the holiday season, usually December 1. On Christmas Eve, the elves return to the North Pole with Santa Claus – until next year. Are you an Elf on the Shelf family? We would love to see what adventures your elf gets up to.